From hard to malleable, from transparent to opaque, from channeling electricity to blocking it: Materials come in all types. 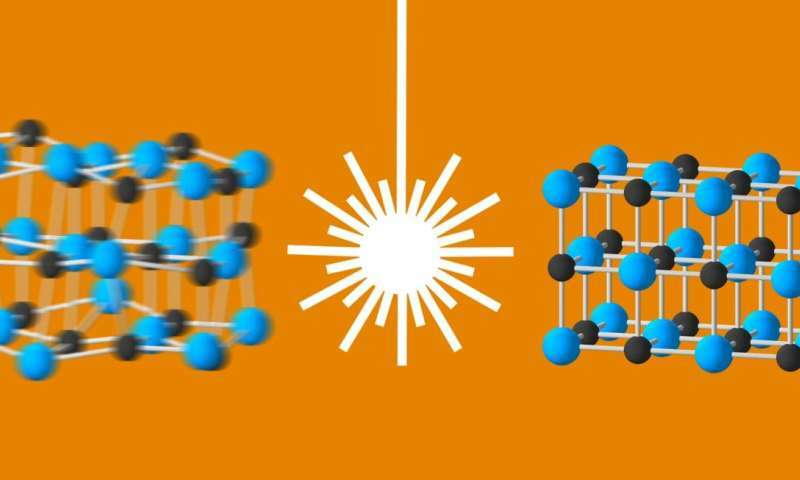 A number of their intriguing properties originate in the way a material's electrons "dance" with its lattice of atomic nuclei, which is also in constant motion due to vibrations known as phonons. At the Department of Energy's SLAC National Accelerator Laboratory, scientists can study these coupled motions in unprecedented detail with the world's most powerful X-ray laser, the Linac Coherent Light Source (LCLS). LCLS is a DOE Office of Science User Facility. "It has been a long-standing goal to understand, initiate and control these unusual behaviors," says LCLS Director Mike Dunne. "With LCLS we are now able to see what happens in these materials and to model complex electron-phonon interactions. This ability is central to the lab's mission of developing new materials for next-generation electronics and energy solutions." "This property is used to power NASA space missions like the Mars rover Curiosity and to convert waste heat into electricity in high-end cars," says Mariano Trigo, a staff scientist at the Stanford PULSE Institute and the Stanford Institute for Materials and Energy Sciences (SIMES), both joint institutes of Stanford University and SLAC. "The effect also works in the opposite direction: An electrical voltage applied across the material creates a temperature difference, which can be exploited in thermoelectric cooling devices." Mason Jiang, a recent graduate student at Stanford, PULSE and SIMES, says, "Lead telluride is exceptionally good at this. It has two important qualities: It's a bad thermal conductor, so it keeps heat from flowing from one side to the other, and it's also a good electrical conductor, so it can turn the temperature difference into an electric current. The coupling between lattice vibrations, caused by heat, and electron motions is therefore very important in this system. With our study at LCLS, we wanted to understand what's naturally going on in this material." In their experiment, the researchers excited electrons in a lead telluride sample with a brief pulse of infrared laser light, and then used LCLS's X-rays to determine how this burst of energy stimulated lattice vibrations. "Lead telluride sits at the precipice of a coupled electronic and structural transformation," says principal investigator David Reis from PULSE, SIMES and Stanford. "It has a tendency to distort without fully transforming – an instability that is thought to play an important role in its thermoelectric behavior. With our method we can study the forces involved and literally watch them change in response to the infrared laser pulse." The scientists found that the light pulse excites particular electronic states that are responsible for this instability through electron-phonon coupling. The excited electrons stabilize the material by weakening certain long-range forces that were previously associated with the material's low thermal conductivity. "The light pulse actually walks the material back from the brink of instability, making it a worse thermoelectric," Reis says. "This implies that the reverse is also true – that stronger long-range forces lead to better thermoelectric behavior." These waves don't actually travel through the material; they are stationary, like icy waves near the shoreline of a frozen lake. "Charge density waves have been observed in a number of interesting materials, and establishing their connection to material properties is a very hot research topic," says Andrej Singer, a postdoctoral fellow in Oleg Shpyrko's lab at the University of California, San Diego. 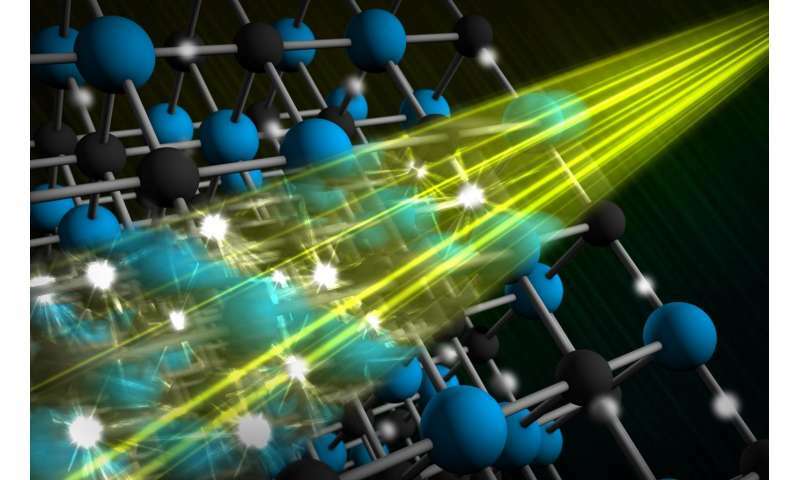 "We've now shown that there is a way to enhance charge density waves in crystals of chromium using laser light, and this method could potentially also be used to tweak the properties of other materials." "We found that the amplitude increased by up to 30 percent immediately after the laser pulse," Singer says. "The amplitude then oscillated, becoming smaller and larger over a period of 450 femtoseconds, and it kept going when we kept hitting the sample with laser pulses. LCLS provides unique opportunities to study such process because it allows us to take ultrafast movies of the related structural changes in the lattice." "LCLS-II will drastically increase our chances of capturing these processes," Dunne says. "Since it will also reveal subtle electron-phonon signals with much higher resolution, we'll be able to study these interactions in much greater detail than we can now."